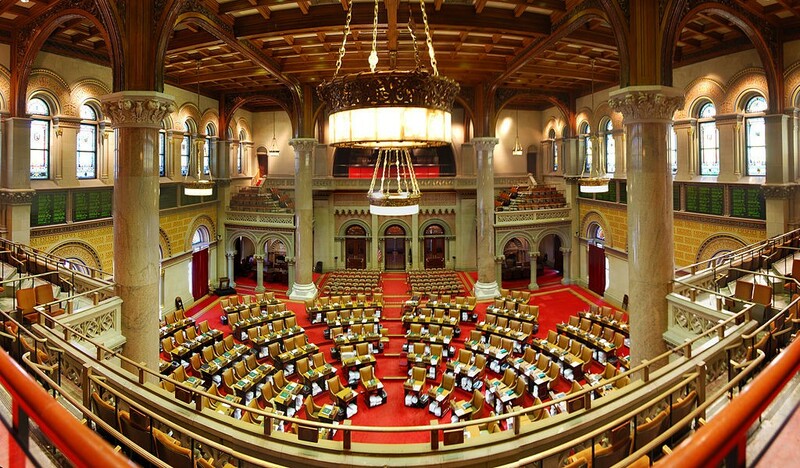 New York Assemblymembers Yuh-Line Niou and Crystal Peoples-Stokes have introduced a bill that would prohibit Confessions of Judgment (COJs) from being used in any contract or agreement for a financial product or service. Peoples-Stokes’ district was one of the first districts to boycott COJs originated by merchant cash advance companies after Erie County Clerk Michael Kearns publicized that he would no longer approve them. § 396-aaa. Confession of judgment requirement for certain contracts; prohibition. 1. No person shall require a confession of judgment in any contract or agreement for a financial product or service. (a) “Financial product or service” shall mean any financial product or financial service offered or provided by any person regulated or required to be regulated by the superintendent of financial services pursuant to the banking law or the insurance law or any financial product or service offered or sold to consumers except financial products or services: (i) regulated under the exclusive jurisdiction of a federal agency or authority, (ii) regulated for the purpose of consumer or investor protection by any other state agency, state department or state public authority, or (iii) where rules or regulations promulgated by the superintendent of financial services on such financial product or service would be preempted by federal law. (b) “Financial product or service regulated for the purpose of consumer or investor protection”: (i) shall include (A) any product or service for which registration or licensing is required or for which the offeror or provider is required to be registered or licensed by state law, (B) any product or service as to which provisions for consumer or investor protection are specifically set forth for such product or service by state statute or regulation and (C) securities, commodities and real property subject to the provisions of article twenty-three-A of the general business law, and (ii) shall not include products or services solely subject to other general laws or regulations for the protection of consumers or investors.